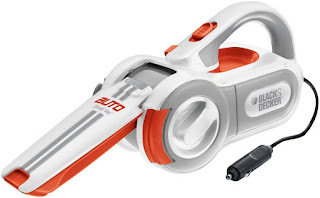 Right now you can get this Black & Decker PAV1200W 12-Volt Cyclonic-Action Automotive Pivoting-Nose Handheld Vacuum Cleaner for ONLY $29.99 R(etail $56). -The brush tool is located below the power cord in a compartment This comes equipped only to plug into the car or any vehicle. -This comes equipped only to plug into the car or any vehicle. Shipping is free with Amazon Prime on your $49 purchase.